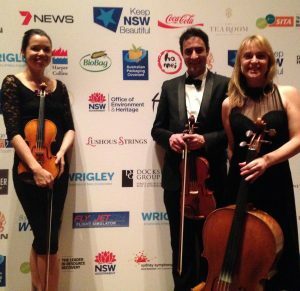 We have played at venues such as the Darling Harbour Convention Centre, Sydney Opera House, Acer Arena, Queen Victoria Building, AMP Centre, Art Gallery of NSW, Australian Museum, Establishment, The Observatory, Australian Golf Club, Hotel Intercontinental, Wentworth Hotel, and Government House. More recently we have performed at The Ivy Club, The Hope Estate in the Hunter Valley, at Rosehill Racecourse and at the Concord Festival as a feature show. 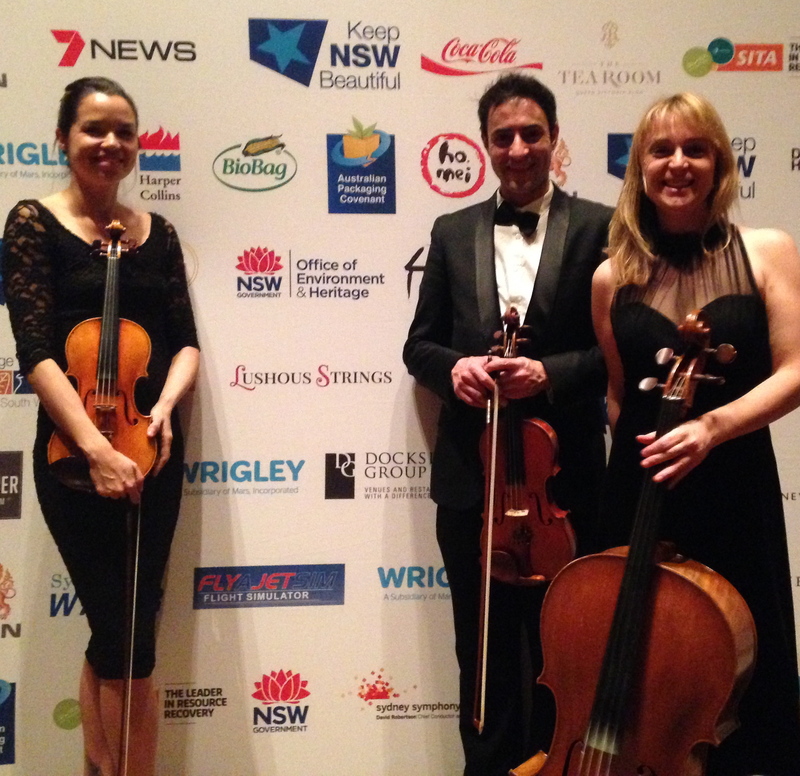 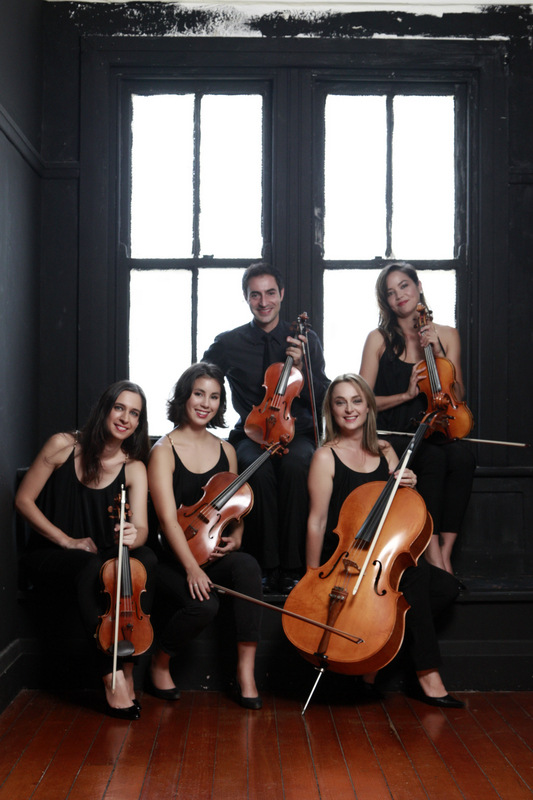 Lushous Strings performed at Keep NSW Beautiful Premiers Dinner held at the spectacular Ivy Ballroom . 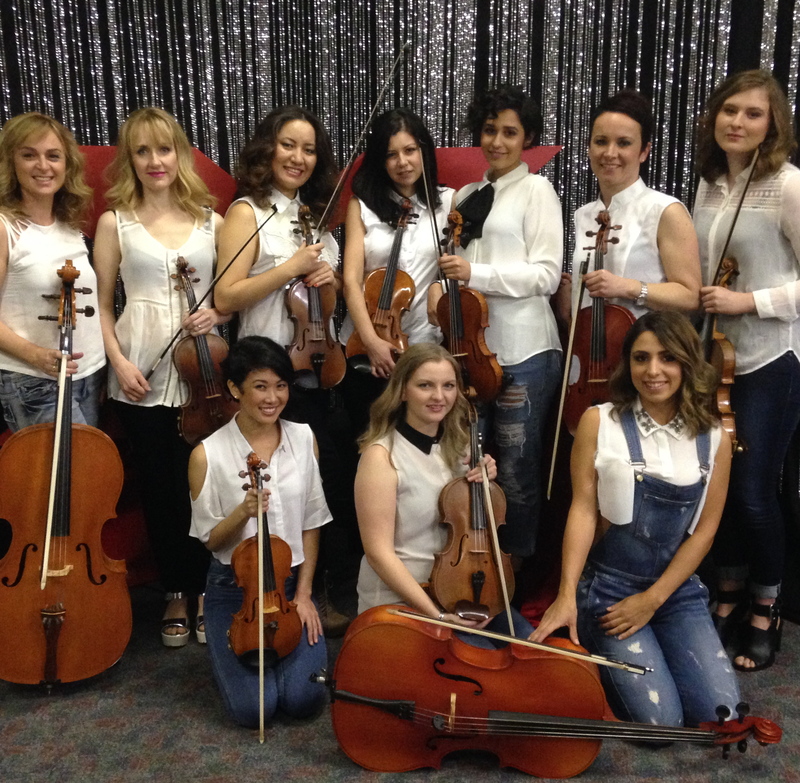 Our girls played a James Bond Theme on XFactor Live. 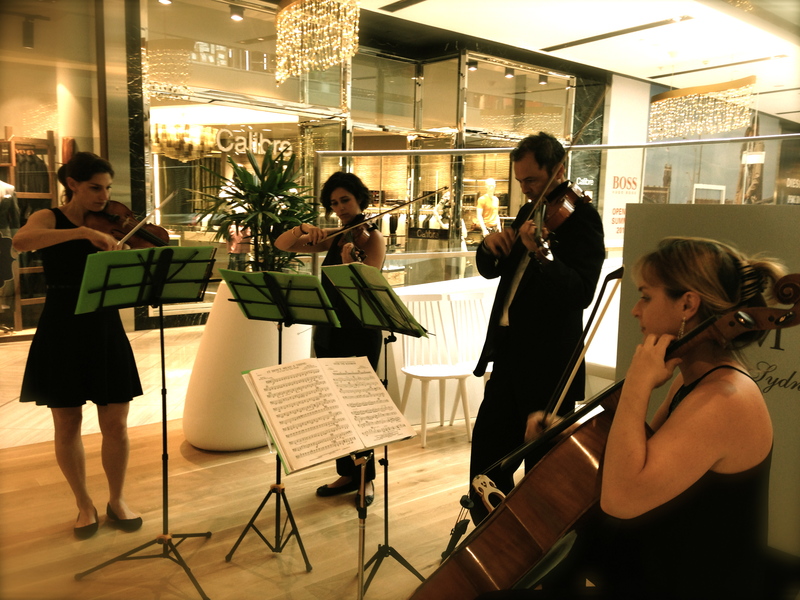 Our ADELAIDE quartet recently played at Adelaides National Wine Centre . 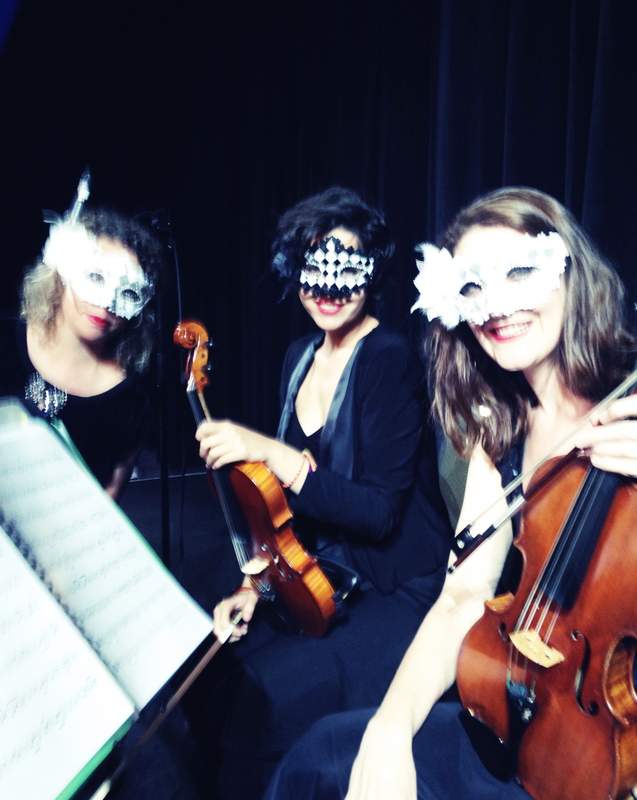 Sydney Quartet playing Jazz and pop songs at The Law Societies Grande Maske Ball. 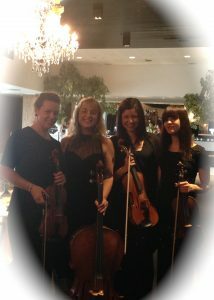 The String Trio and Harpist at Castle Towers in December for Christmas celebrations. 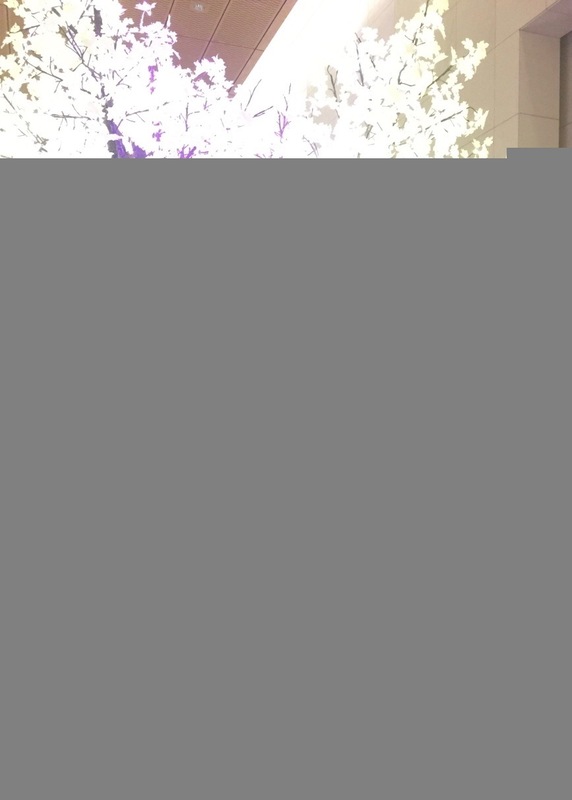 The Duo at AMP building . Choose your style of music from Baroque, popular classical, romantic, Jazz arrangements or Rock and Pop songs.